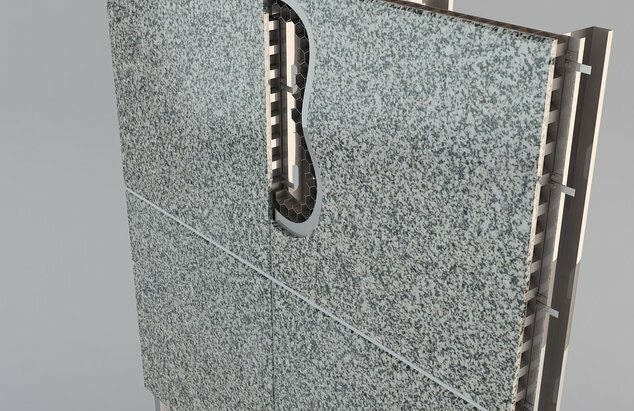 Get detailed CAD drawings of StonePly restroom partitions. Get detailed installation instructions for StonePly. 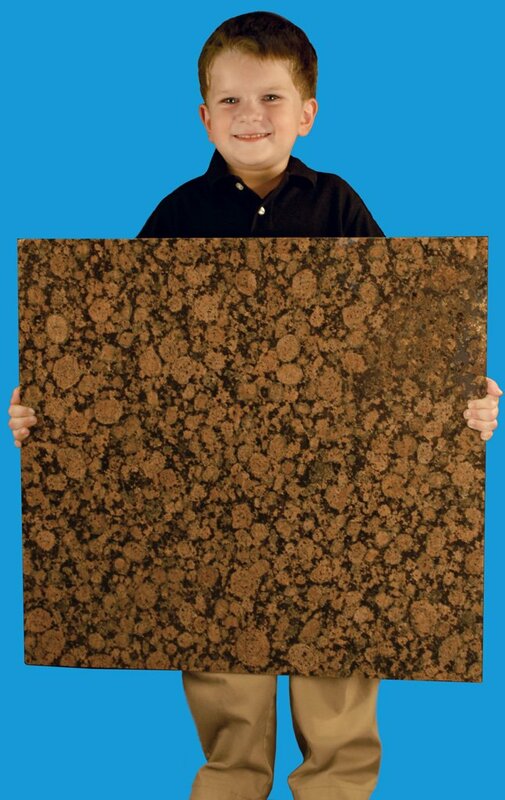 Weighing as light as about ¼" of glass or ¾" of MDF particle board, StonePly is easy to work with and install. 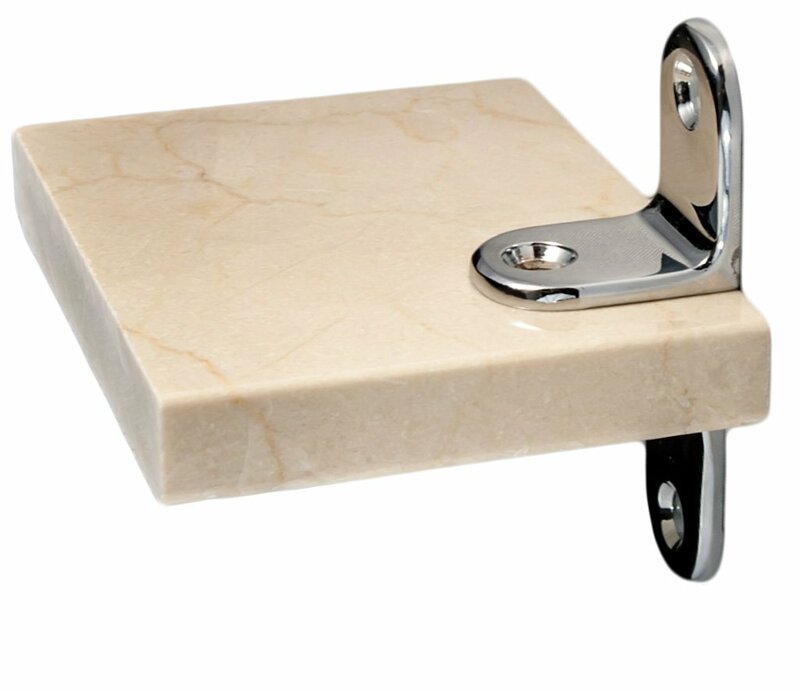 We use the most beautiful stones on earth to create our bathroom partitions. 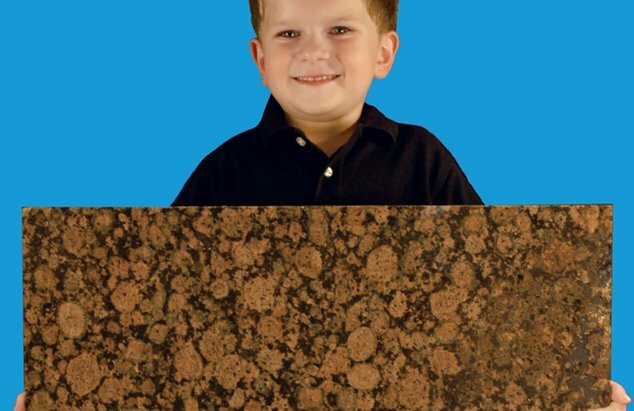 Any Granite, Marble, or Limestone is Available. Honeycomb core provides support and stability. Naturally durable stone resists vandals and reduces maintenance costs. 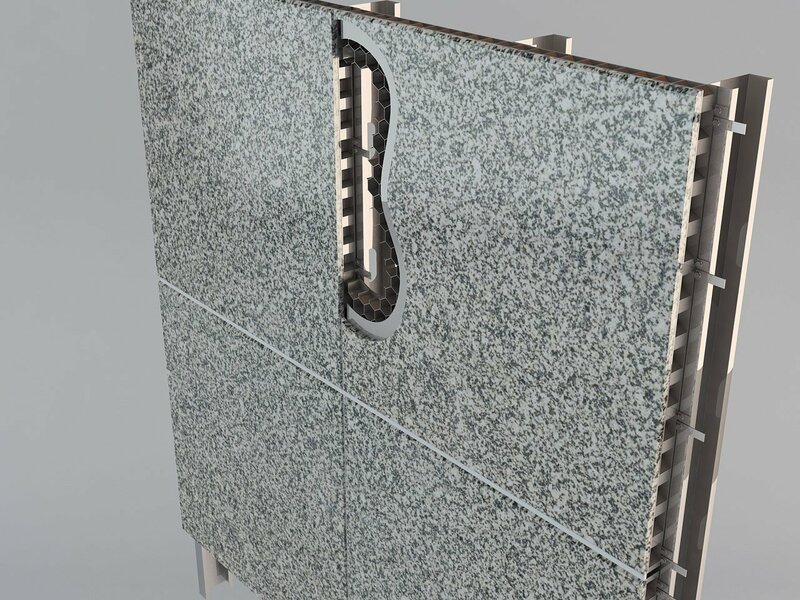 StonePly stone panels are lightweight, have simple attachment systems, can be installed by a carpenter. 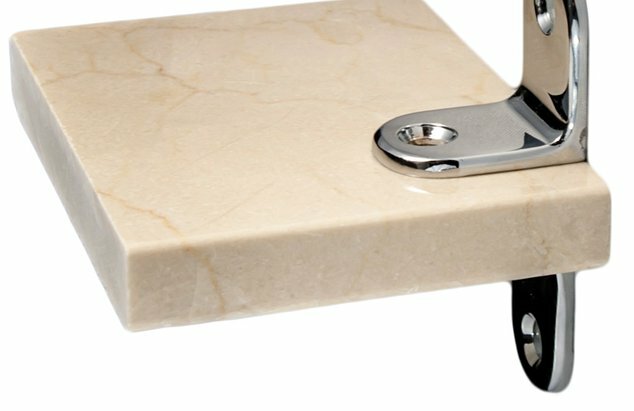 StonePly bathroom partitions are crafted from real stone that has been securely mounted to a strong and durable substrate. This fabrication method offers a number of advantages, but it's our sheer volume of color options that wows many of our customers. 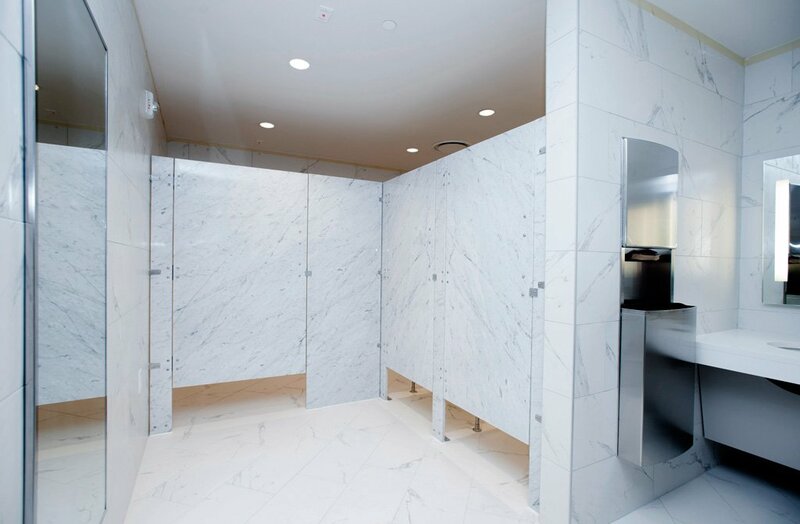 If you're a fan of marble, granite, travertine, alabaster, or onyx, you'll be pleased to know that we can produce bathroom partitions using any of these natural masterpieces. We offer hundreds of varieties sourced locally from the United States and from exotic locales such as Brazil, India, and South Africa. Floor braced bathroom partitions: The supports extend from the floor to the tops of the bathroom partition doors. Floor to ceiling bathroom partitions: These bathrooms partitions are the sturdiest- and strongest-looking of all our choices. Ceiling hung bathroom partitions: This type of bathroom partition makes floors easier to clean, and is suitable for bathrooms with reasonably low ceilings. Overhead braced bathroom partitions: This configuration for bathroom partitions provides plenty of support and privacy. Stainless steel or plastic bathroom partitions obviously just aren't a good fit for a unique, outstanding restroom layout. Contact StonePly to find out more about our services, our materials, and our natural stone bathroom partitions. StonePly also offers a wide range of consulting services from planning to project management and everything in between.